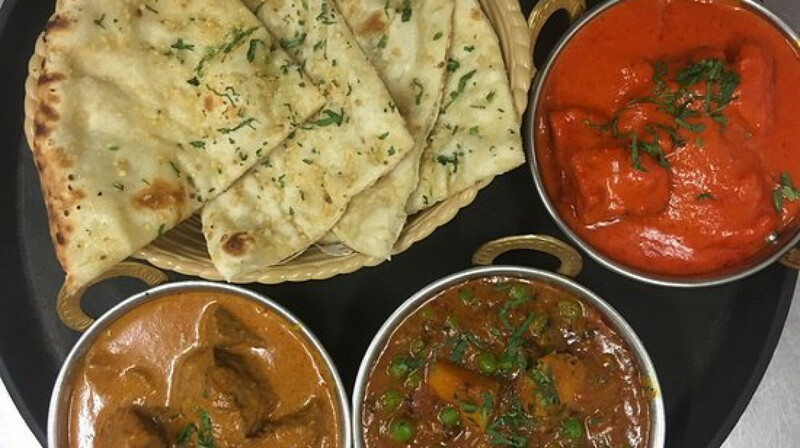 Welcome to Wellington’s favourite curry house! 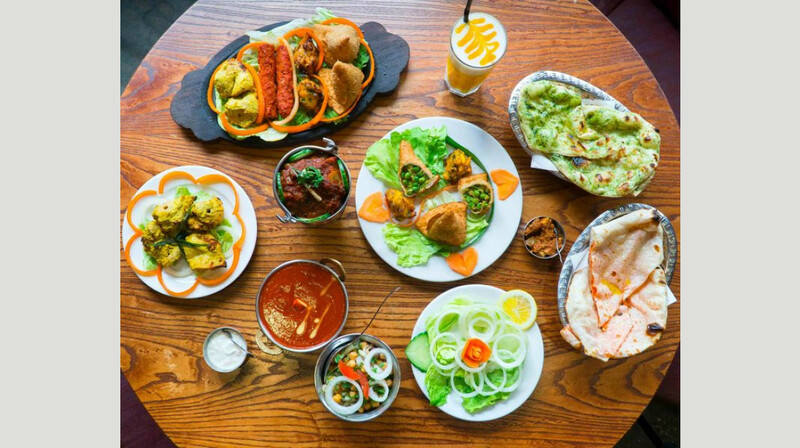 Having scooped up multiple awards (including Top Indian Restaurant in Wellington), Tulsi is well-known for its outstanding cuisine and service. 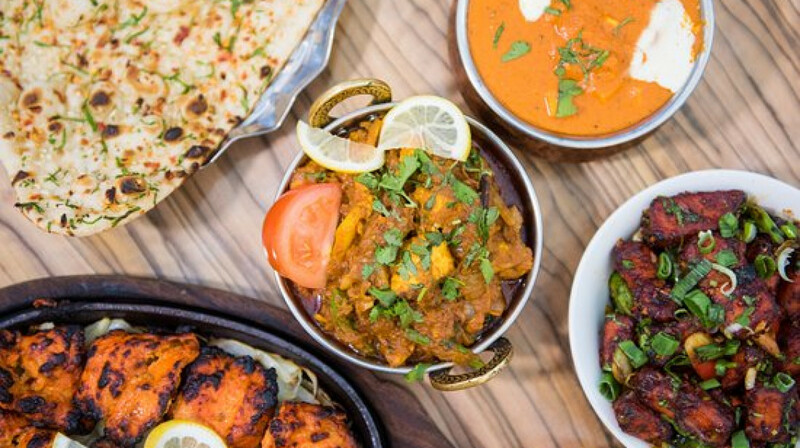 From sizzling Tandoori meats to spicy seafood, you’ll love their twist on traditional Indian food. The chefs use only the finest quality ingredients and imported spices, so every bite is an explosion of flavour. 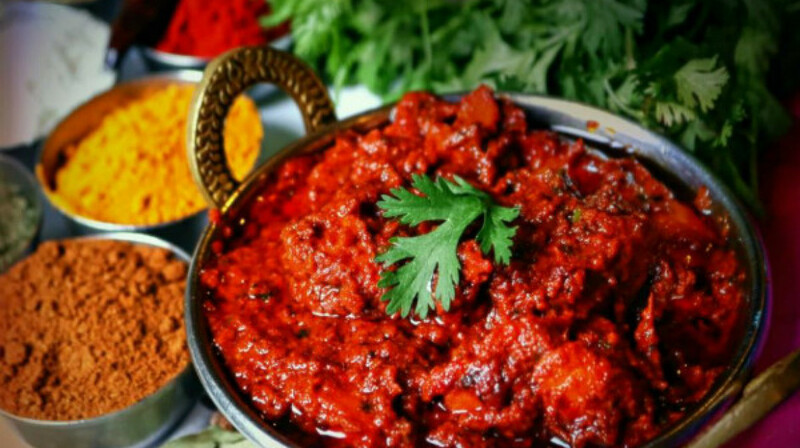 Find out why their butter chicken curry has won so many awards, or choose a speciality dish, like the bhola balti. 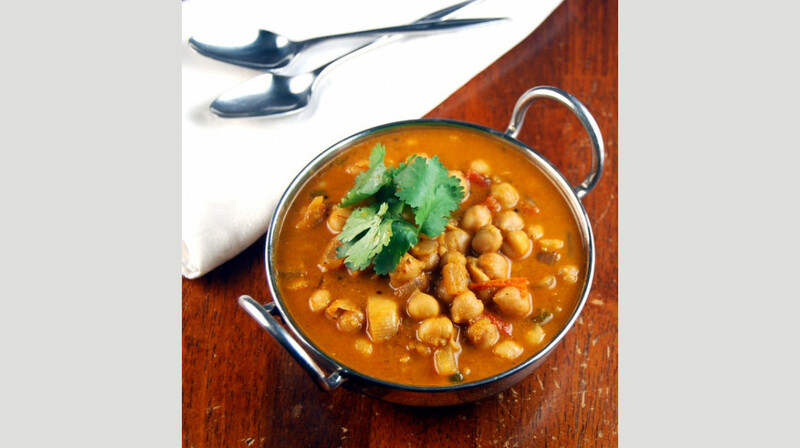 There’s also a range of vegetarian dishes available (try the mattar paneer and thank us later!). 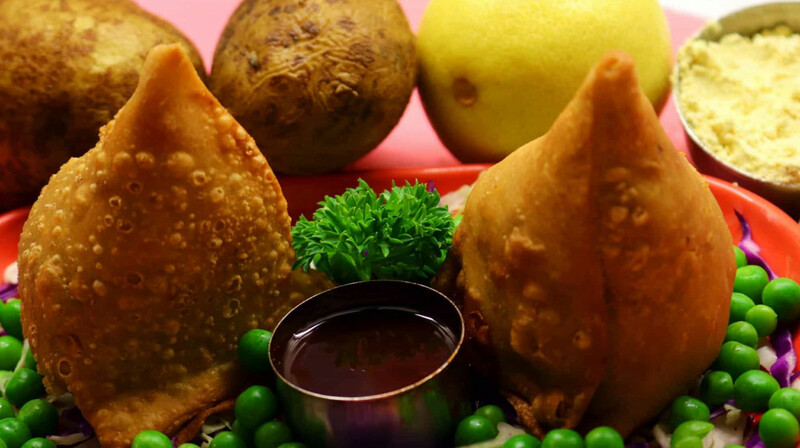 Now a thriving family of Indian eateries, Tulsi was founded by Monty Patel in 1999. 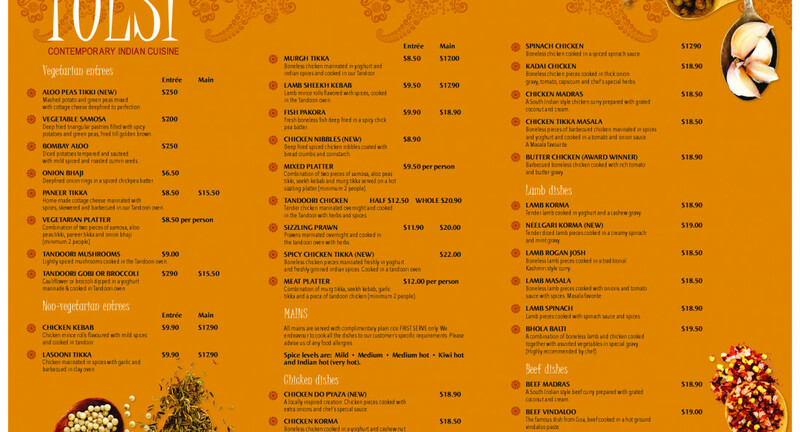 Thanks to their delicious food and friendly team, Tulsi has now expanded to seven locations. Very nice experience. Food and service was top notch. Lovely ambience. Took the family there for my birthday. Delicious food. Friendly service. The hot curry was more like medium but I probably should have asked for Indian hot. Kids loved it. Their butter chicken was beautifully rich and creamy. Our dining experience at Tulsi Miramar was amazing. We went there on a Sunday evening for dinner. The service was quick and very friendly. He suggested us chef recommendations. We ordered chicken tikka entree, Kadai Chicken and Bhola Balti. All the dishes were very delicious. Kadai Chicken is the best we can get in Wellington. Great experience and will love to go back again. Finally I decided to try First Table. We booked for 4 people and it was good value for money.Food was average but the manager was very good and attented to us well.We had a bit of hiccup with a dish but the manager was happy to resolve the issue.Overall, it was alright. As far as Indian goes, it's a safe bet... tasty and quick service. Not a lot of meat in each of the curries though... sauce was really good however. The service and food were excellent, just felt it lacked a bit of atmosphere! Very nice food. Naans were the best. Amazing! The service was great and the food was delicious. We had a great first experience at Tulsi Miramar. Service was top notch as was the food! 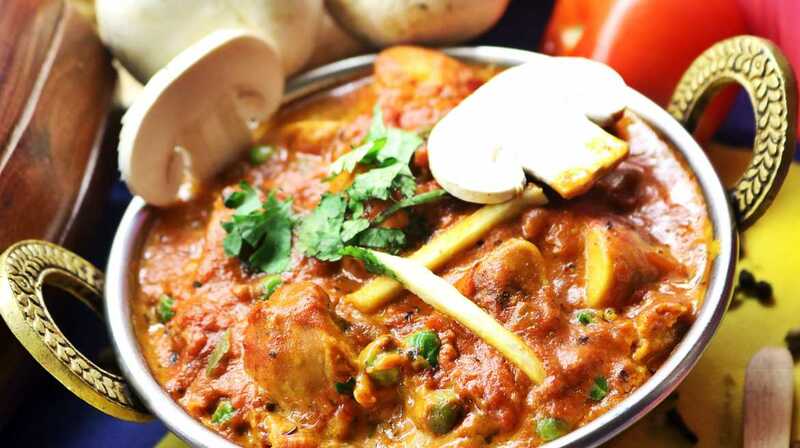 Delicate flavours, beautifully cooked Indian food. We would definitely go back a second time.